New York Giants have added another threat to their receiver core with former Jets player Brandon Marshall. The 12-year veteran was released from the Jets after two seasons with 2,290 receiving yards and 17 touchdowns. Marshall has produced over 1,000 yards eight of his 12 seasons. Marshall will be along side star receiver Odell Beckham Jr. and Sterling Shepard. Receiver Victor Cruz was released from Giants after six seasons. 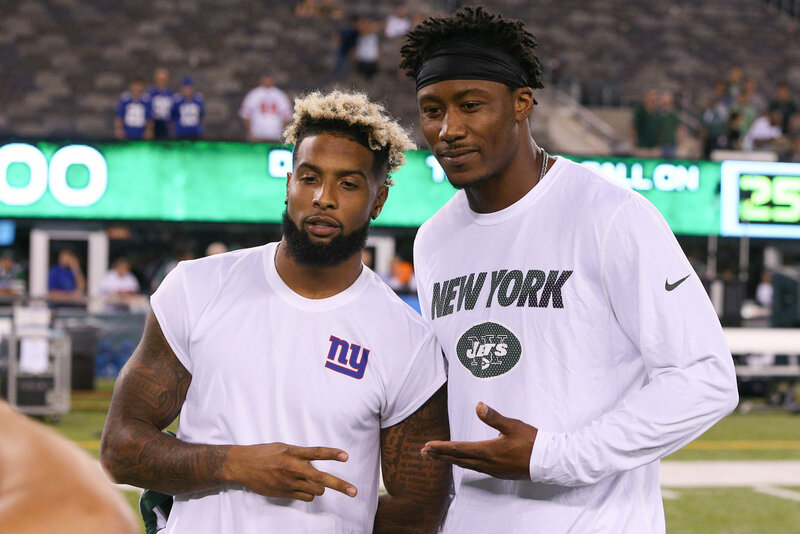 With these two fun guys, Beckham Jr. and Shepard, I know some thought it may not be a good addition as Marshall is older, mature and can cause drama when things don’t go his way (look at Chicago and Jets quarterback stories). Temper similar to OBJ. However, the maturity may help and maybe, since Marshall wants to stay in NY so bad, that he will understand this is probably his last NY spot for him. Plus, the Giants overall are a better team than the Jets right now. A big maybe on this working since Cruz was big bro to Odell and only a few things have changed with OBJ. Football wise, it will get OBJ open on that field and many are stating the Giants have the best receiver core for this upcoming season. ← Ben Affleck and Jennifer Garner Call Off Divorce!